One of the most common questions I get whenever I am on the road for a while is “But how do you afford to do this?” My replies left most people’s curiosity unsatisfied - they wanted to know exactly how I manage to fund my lifestyle, but to be honest I’m not even entirely sure what I do! I think one of the biggest things to understand is traveling is a lot different than vacationing. Most of the time, when I am in different countries or states, I sleep on couches or in backpacking hostels. This doesn’t make it any less fun, but it is not always as relaxing as say an all-inclusive Mexican beach vacation! Here are a few tips I have gathered for being able to travel long term. 1. Get your finances straight. Money is obviously a necessity for travel. However there is a common misconception that you have to be rich to experience the world. This is completely untrue; the key is being able to budget with the money that you do have. I knew that it was my dream to travel for years to come, so I began to manage my finances in a way that allows me to do so. Consolidate as much debt as possible before setting off on your travels; this will take a huge weight off your shoulders. I paid for my car in cash, paid off all my credit cards and currently only have my student loan debt left, which is being repaid over a longer period of time. My financial security is high up on my priority list, and I try to contribute to my retirement Roth IRA often enough. 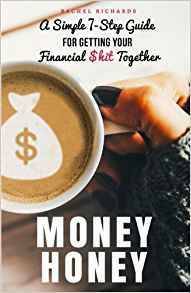 I would highly recommend checking out the book Money Honey – it really taught me a lot about how to save and invest in my future while still enjoying life. So often when I am traveling I choose to stay with friends. This one may be a bit harder for introverts, but I can’t stress enough how valuable having contacts abroad can be. Try to count how many people you know that are living in different countries. Probably more than you thought! You’d be surprised at how willing people are to help you when you are traveling, even if they don’t know you well. Just making one Facebook post could draw out a distant cousin or friend who would be happy to have you as a guest. The internet is a great tool to get answers to your queries and discover new places to travel to. I personally enjoy using Reddit to get a deeper look into potential destinations – it gives me an insight into other people’s experiences of places, which are often more authentic than the typical travel agency marketing. Budget travel has really taken off, and now there are loads of websites that exist to find the cheapest flight deals and activities. I am lucky enough to be able to work as a photographer, but there are multiple jobs you can work wherever you are traveling. Even a part-time or low-paid occupation will help ease some of your day-to-day expenses. 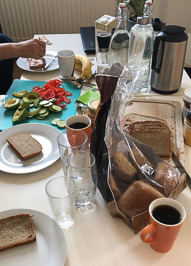 A few of my favorite ways to make some extra cash or earn food and lodging include: working in hostels, volunteering on organic farms or helping out with a local family. There are many different resources out there for exploring these kinds of jobs. My personal favorite is Workaway. For extended travel, consider teaching English in a foreign country. ESL Cafe is a great online hub where you can find employment in this field. 5. Cook your own meals. Another difference between traveling and vacationing is what you choose to eat. I enjoy cooking and find myself making simple and easy meals while abroad. You don’t have to be an experienced cook to prepare delicious, nutritious food on the go. The obvious upside to doing this is that fresh produce and ingredients are much cheaper on their own than eating at restaurants. My aim in writing this article is to try and dispel the myth that travel has to be expensive. The world really is open to anyone with a bit of creativity and courage. Have you tried using any of these tips before?